Los Angeles. Los Angeles Police Department (LAPD) Olympic Division detectives are asking for the public’s help in providing any information that will lead to the arrest of suspects responsible for a home invasion robbery in Koreatown. On January 24, 2011, at about 2:45 a.m., three male Korean suspects entered a condominium complex in the 3900 block of Ingraham Street and robbed some residents. The suspects then took the victim’s property and left the location in an unknown direction. 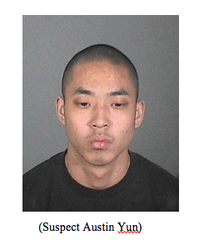 Suspect #1 is Austin Yun, a 20-year-old male Korean. He stands about 5 feet 7 inches tall and weighs about 150 pounds. 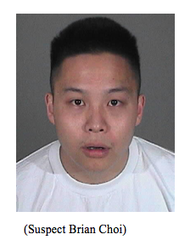 Suspect #2 is Brian Choi, a 24-year-old male Korean, and stands about 5 feet 7 inches tall and weighs about 160 pounds. 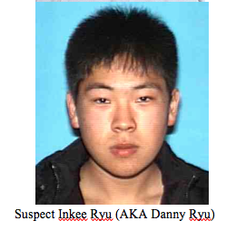 Suspect #3 is Inkee Ryu (AKA Danny Ryu), a 20-year-old male Korean, 6 feet and 180 pounds. He owns a 2003, 2-door black Honda Civic with the license plate of “5EUK025”. The suspects are to be considered ARMED and DANGEROUS.